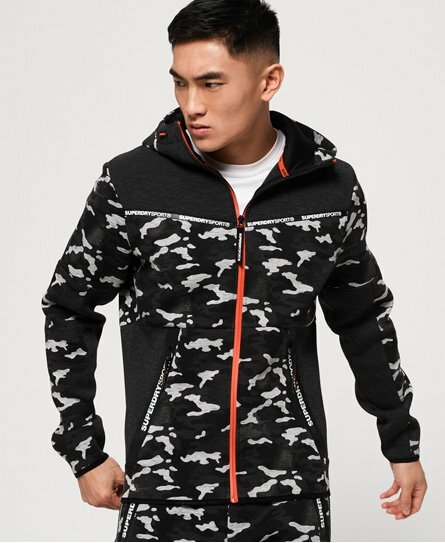 Superdry men’s gym tech stretch camo zip hoodie. This is the perfect throw on piece when you are making the chilly journey to and from a workout. It features a single zip fastening, Superdry Sport branded piping throughout and a Superdry Sport badge on the sleeve. Keep on-trend by rocking the camo print this season, pair this hoodie with your favourite joggers and trainers for an athleisure inspired look.